Similar in design to the CH-47 Chinook series of transport helicopters, the CH-46 Sea Knight keeps its engine components mounted on top to provide unobstructed access to the aircraft. While the CH-47 Chinook serves the US Army, the CH-46 Sea Knight is the main transport helicopter of the US Marine Corps. Both aircraft use the patented tandem three-blade rotor design, but the latter is powered by two Lycoming turbo shaft engines. These give the chopper the power to carry external sling loads whenever necessary. In a Marine Medium Helicopter (HMM) squadron, the CH-46 Sea Knight is primarily responsible for transporting combat troops and their supplies during operations. Movement of supplies and equipment is a secondary function. The CH-46 Sea Knight is also utilized for evacuation operations, search and rescue, as well as rearming and refueling. 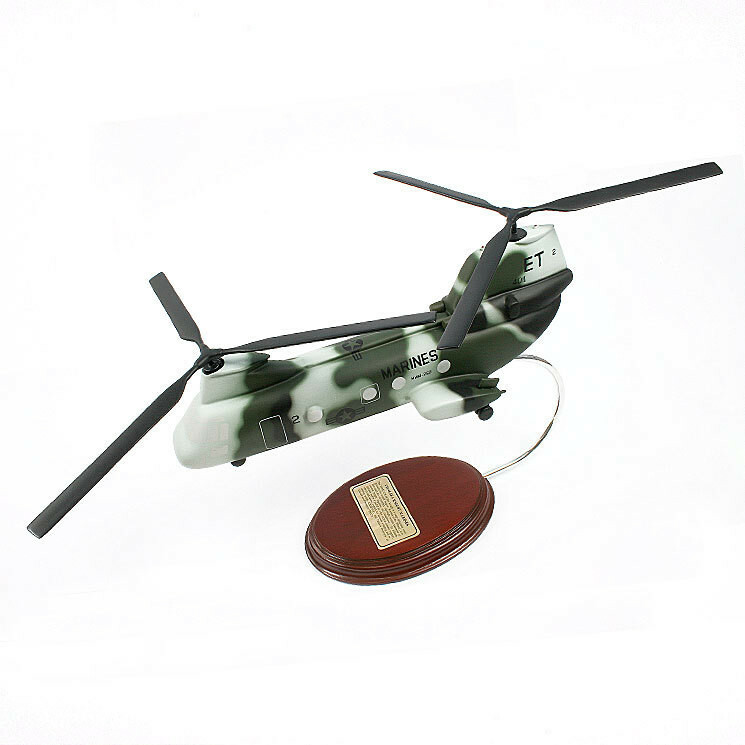 As a transport helicopter, the CH-46 Sea Knight is most recognized by its unique tandem rotor design.